Goose meat is dark, rich and sumptuous. 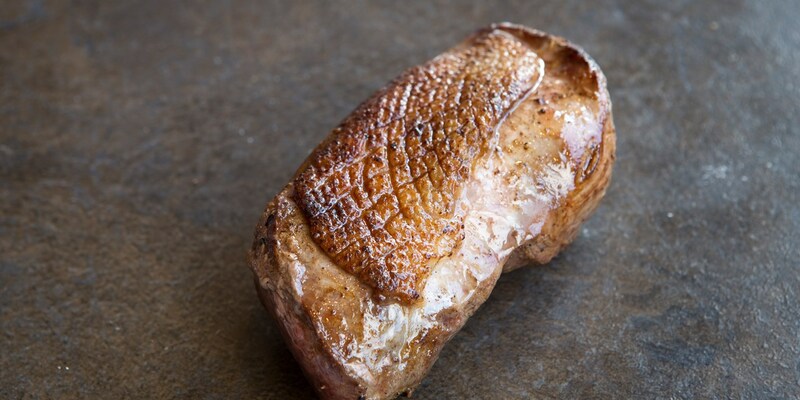 In taste and texture it holds certain similarities to duck, albeit with a slightly less cloying flavour. Like turkey, goose carries certain seasonal connotations but due to the availability of farmed geese they should be available from butchers and some supermarkets outwith the winter season. Goose pairs very well with fruit, either as a sauce or relish on the side or incorporated into the recipe itself. Try Marcus Wareing's succulent Goose breast recipe, served with kale, cranberry relish and a delicious goose leg sausage roll. Adam Byatt also pairs goose with cranberries in his Breast of goose recipe, adding in a heady celeriac purée and golden fried parsnips. From main meals to lighter bites Simon Rogan turns his Chestnut and goose sausage recipe into a stunning Christmas canapé.